When I think of Spring makeup.. I think pink! 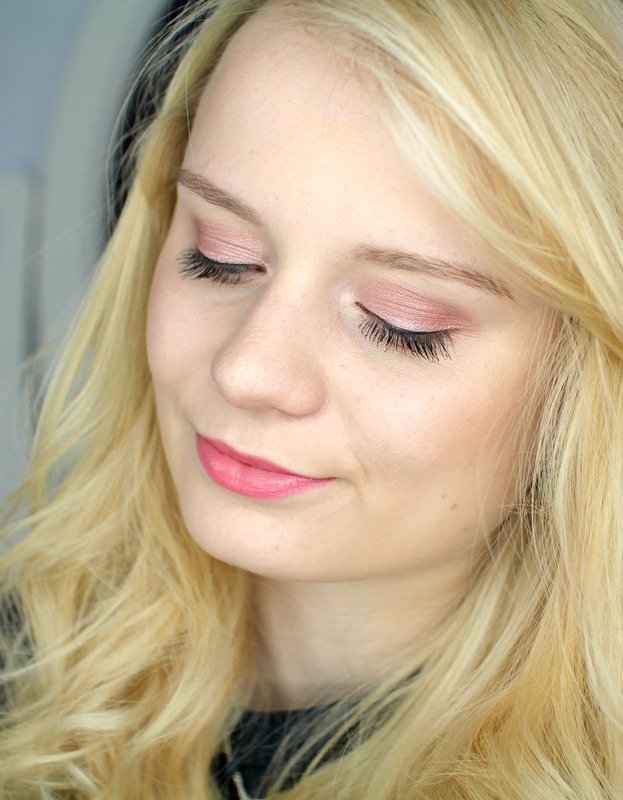 I gathered up some of my favourite pink pretties and created this Spring inspired look. I thought I'd share some of my favourite products I reach for at this time of year.. 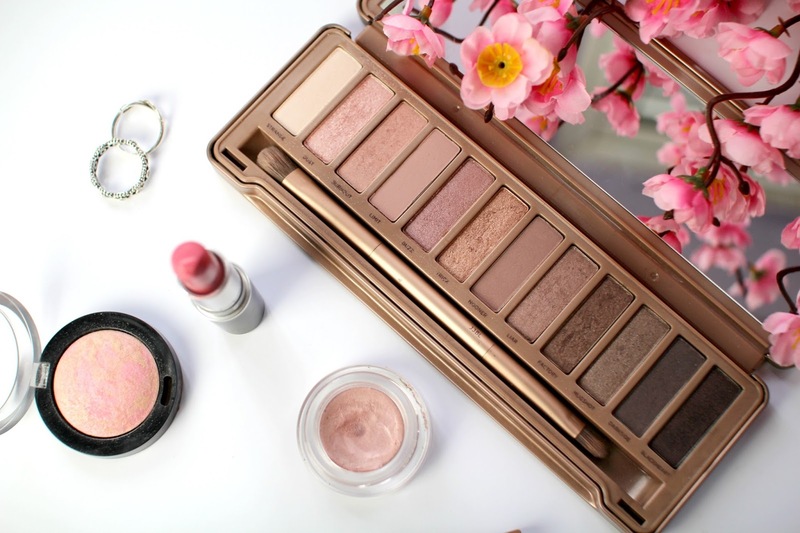 Although I love a good Naked palette all year round, lately I've been paticularly loving the Naked 3 palette - filled with rosy toned shadows and shimmer. 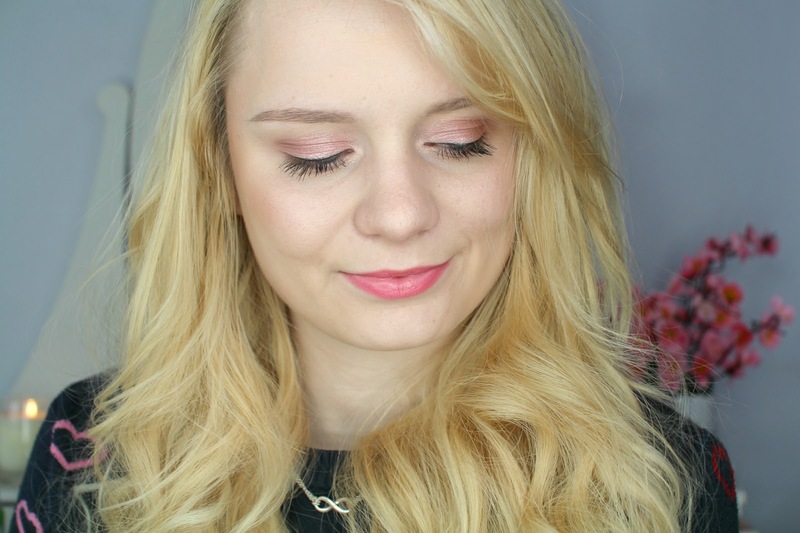 A lot of the time pink eyeshadows can been seen as a bit intimidating to use on the eye.. I mean, if done wrong it can kinda look like you've got a gunky eye which is not the look anyone is ever after! I've found the trick to avoiding this is going for the lighter pinks (in this look I used 'Dust' and 'Burnout') and contouring the eye using a darker browny pink (I used the shade 'Nooner'). I tend to avoid the more red toned pinks to keep the eyes looking bright and fresh! I've always been a big fan of the Maybelline colour tattoos and definitely think they live up to the hype they have considering they are so cheap! 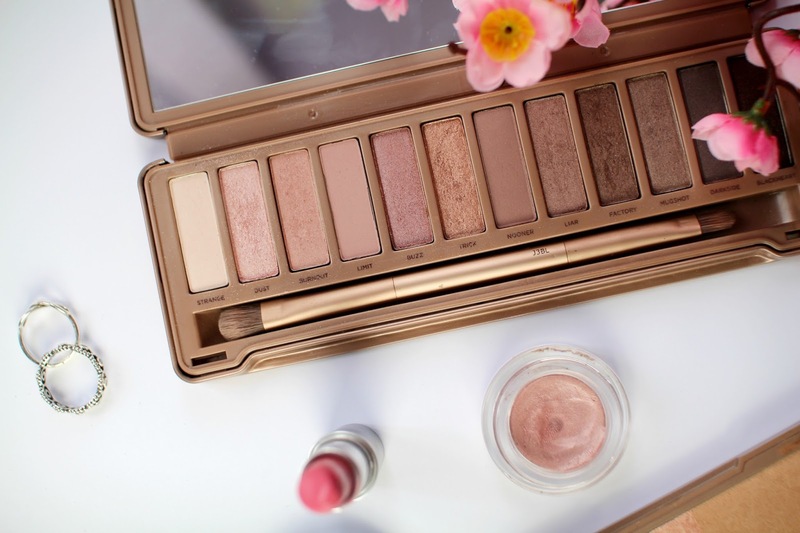 The shade 'Pink Gold' goes so perfectly with the rosy tones in the Naked 3 palette as it's a beautiful light shimmery pink and acts as a perfect eyeshadow base. Using this as an eyeshadow base helps intensify the eyeshadows but also keeps them there and makes them last, so none of your hard work is wasted! 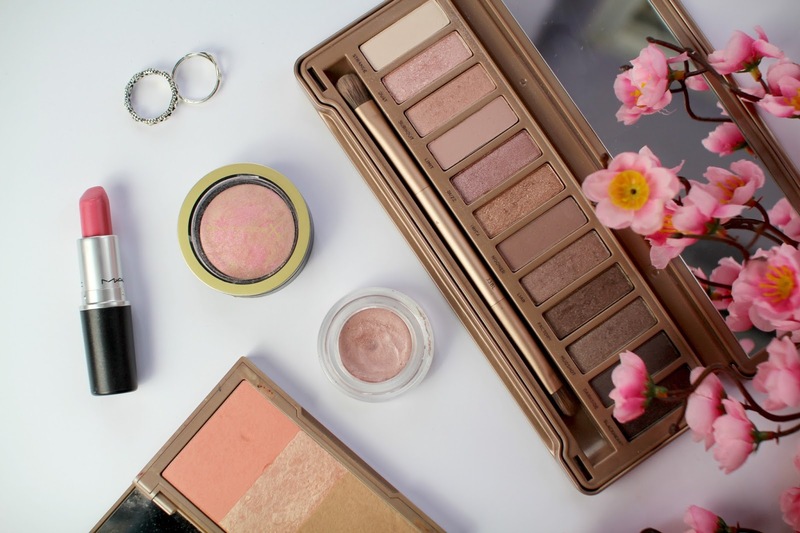 I have never been a blusher loving gal, but there's something about this Max Factor baked blusher that I just really love (and it's not just because it's so damn pretty to look at!) 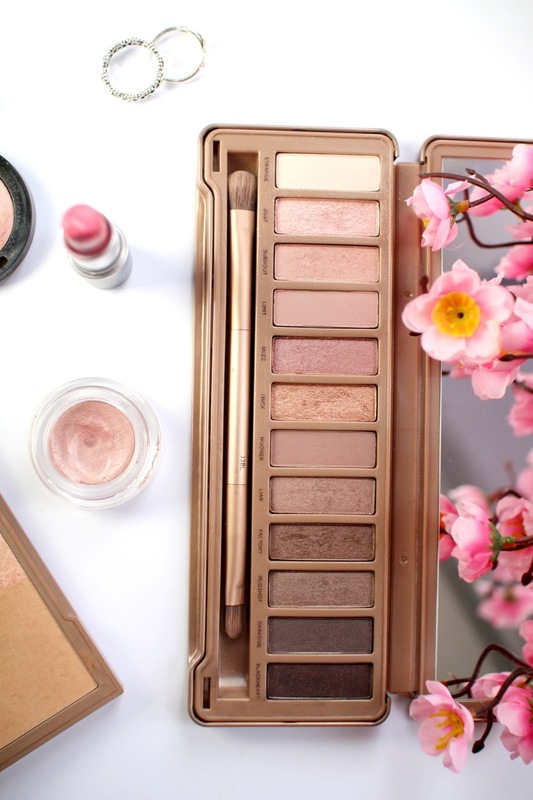 'Lovely Pink' is a natural, subtle pink that compliments the eyeshadow look perfectly. 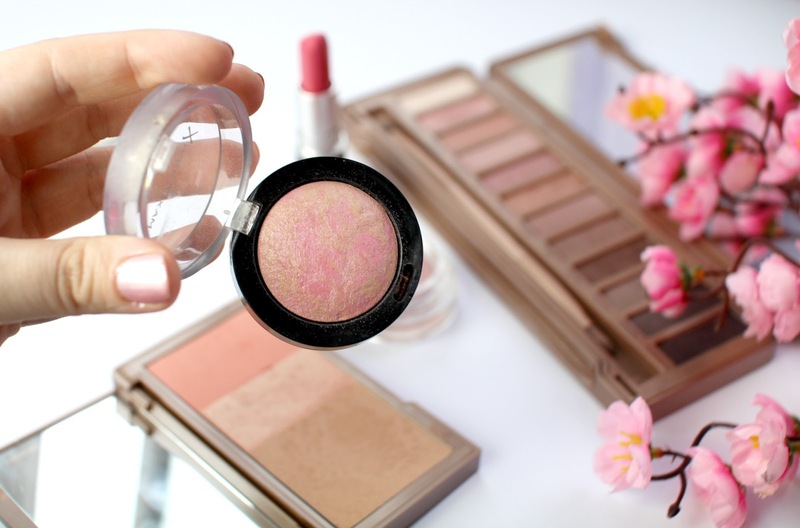 With the blush there are swirls of highlighter which helps give you a glowly and healthy looking complexion. One of my main concerns with blusher is that I think it just makes me look like I'm really hot, maybe that's because I'm a little heavy handed.. but with this blush it's not too pigmented so it's really hard to go overboard! No makeup look is complete without lipstick, and I have been absolutely obsessed with pink lipsticks lately! 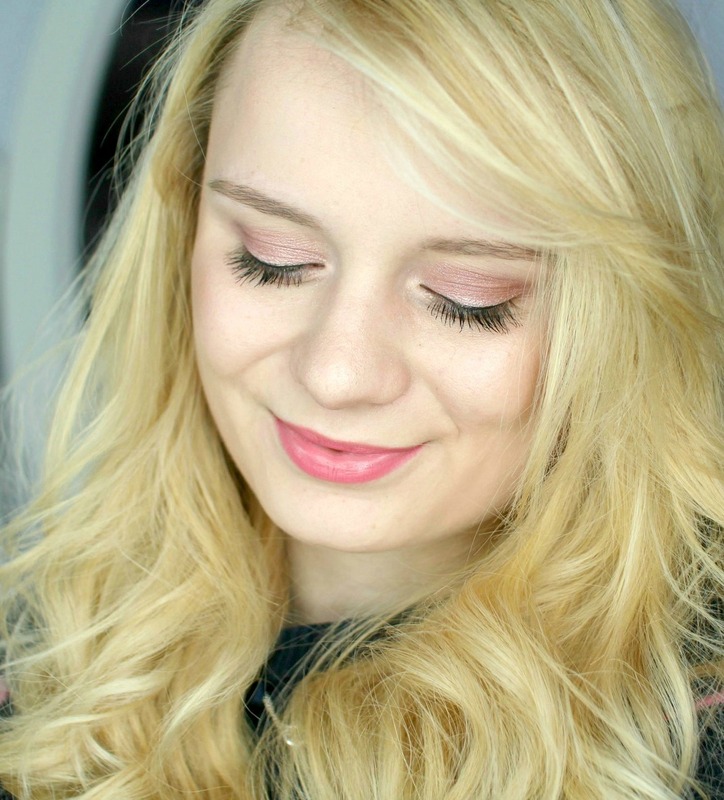 When I think of Spring Makeup I think of pink lipstick - in particular MAC 'Chatterbox'. It's a bright, red-toned pink which brightens up my complexion every time I wear it. I always think that lipsticks like this are a good way of having a bit more of a statement lip without committing to some more outgoing shades such as bright red or berry tones. They also wear a lot better which makes them easier to wear on a more everyday basis and you don't have to worry about reapplying them as much! If Chatterbox isn't the shade for you and you're looking for a more nudey pink I would recommend MAC 'Creme Cup' and if you're more of a peachy pink kind of girl - MAC 'Shy Girl'! If you want to see how I got this look, check out the tutorial on my youtube channel below! 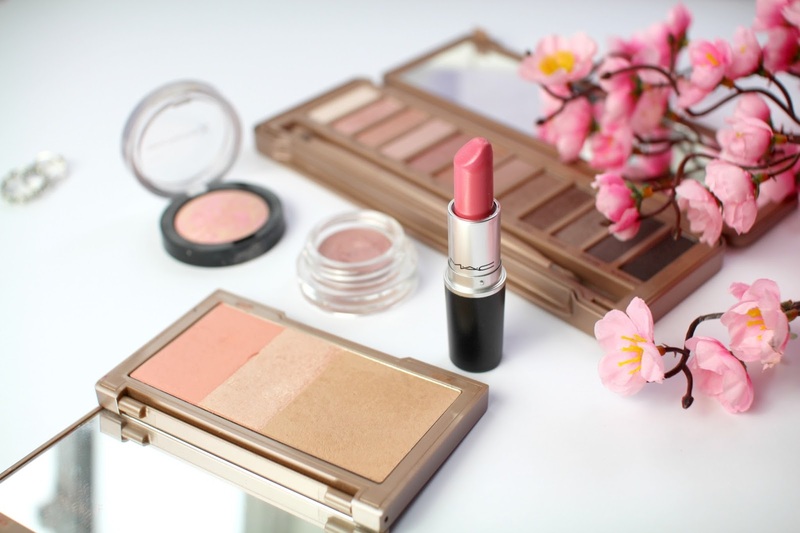 I love pink makeup, it just makes me feel so girly! I absolutely adored reading this post! The photography and the whole look itself is just stunning. I also really like how you out different alternatives for lipstick shades, depending on whether you're a bright pink kinda gal, a nudey pink kinda gal or a peachy pink kinda gal!